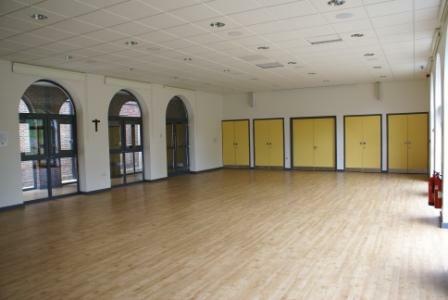 St Joan’s Centre is a delightful hall – light, airy, with a wonderful sprung wooden floor. Approximate floor area: 11m x 8m (36ft x 26ft). The hall has kitchen facilities so we can offer teas, coffees and biscuits. The venue is set in its own grounds with a large off road car park. The hall is about 300 metres off the A31 / Farnham By-pass. Turn left at the lights on to the A287 towards Farnham Station & Hindhead. Go over the level crossing then dog-leg to the right into Tilford Road. Driving along Tilford Road with Farnham Station behind you, St Joan’s is 200 metres up on the left. Turn into the driveway by the large tree. The car park is about 50 metres along the driveway. The hall is then on the right, just beyond the church.